Great location to build a few homes in an unrestricted area! Bring your own builder! Possibly 3 walkout basement sites. All public utilities located closely for easy development. Concept plan on file. Seller has a proposal to divide the property and is waiting for approval by Village of Glen Carbon. A 3 lots subdivision has been proposed to the Village of Glen Carbon with two lots fronting on Edwards including an easement through the west side of lot 2 to the rear lot consisting of approximately 1.77 acres. If lots are sold individually after final platting lot 1 is $65,000, lot 2 is $65,000 and lot 3 is $80,000. 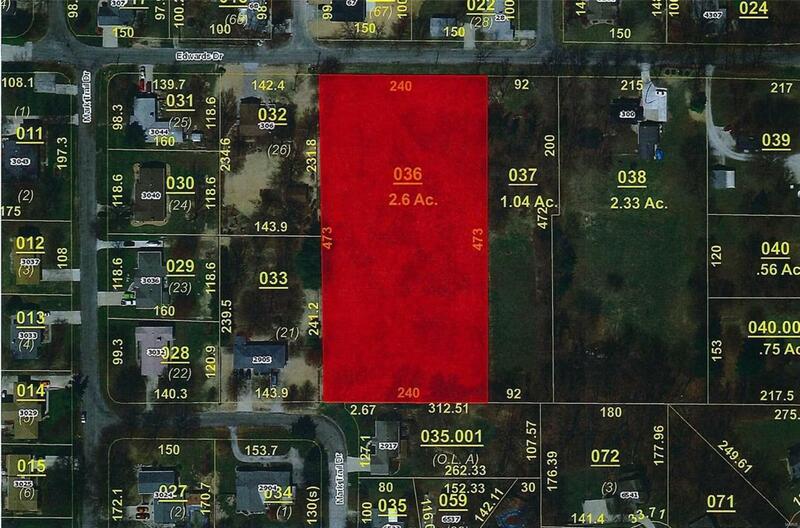 This property is located approximately 1 mile south of I-270 and 1/4 mile west of State Rt. 159 with quick access to shopping and highways to downtown St. Louis. Edwardsville schools! Public water and sewer are conveniently located for all 3 lots. All information to be verified with Village of Glen Carbon. Buyer to independently verify information derived from various sources.